“Stillwater” – Sam and Eddie travel to California’s wine country to investigate the mysterious disappearance of a wheelchair-bound woman. Hired by the woman’s son, the two quickly discover this is no ordinary missing person’s case when the son reveals that he witnessed her otherworldly abduction. Despite Sam’s enthusiasm for the bizarre story, both she and Eddie know there must be a more down-to-earth explanation for her disappearance. But when their investigation uncovers things even they can’t explain, they can’t help but wonder if the truth is out there, on “Take Two,” THURSDAY, AUG. 30 (9:00-10:00 p.m. EDT), on The ABC Television Network, streaming and on demand. 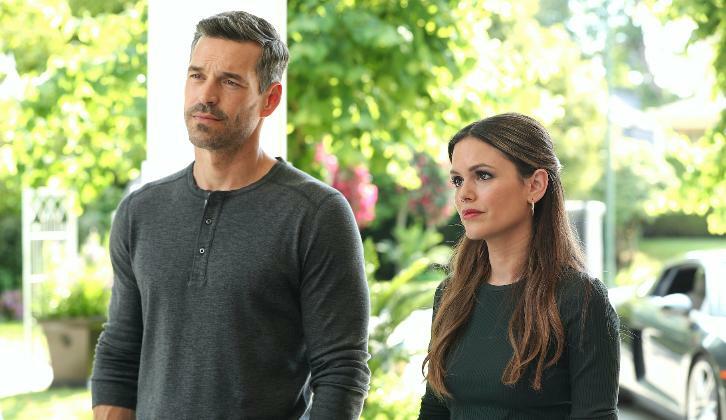 “Take Two” stars Rachel Bilson as Sam, Eddie Cibrian as Eddie, Xavier DeGuzman as Berto, Aliyah O’Brien as Christine and Alice Lee as Monica. ”Stillwater” was written by Dan Fesman and directed by Rob Lieberman. “Family Ties” – When Detective Christine Rollins receives a frantic phone call from her younger brother asking for help, she assumes he’s gotten himself into some kind of legal trouble again. But when he doesn’t show up to meet her, she fears the worst. Not knowing what her brother was caught up in and hoping to avoid LAPD involvement, she turns to Sam and Eddie to help track him down. But when surveillance video shows Tyler stealing a luxury car, Christine learns that her once-wayward younger brother is back to his old ways and may be tied to something even worse. Meanwhile, Sam is dealing with family drama of her own, on “Take Two,” THURSDAY, AUG. 30 (10:00-11:00 p.m. EDT), on The ABC Television Network, streaming and on demand. “Family Ties” was written by Debra J. Fisher and Mo Masi and directed by Alexandra LaRoche.